North of Phi Phi Don. Access by long tail boat. Total time: 3 hours minimum. From the beach of Ton Sai on Phi Phi Don, you must allow 45 to 60 minutes to get there (long tail), depending on sea conditions. Allow at least one hour on site. About 1500 Baht for a 3 hours long tail ride. 400 Baht entrance fee to the National Park. To escape the crowded beaches of Ton Sai Bay or Maya, rent a long tail at least 3 hours (1500 Baht, approximately 50 USD) in the direction of Bamboo Island. This tiny island is nothing like its big sisters. Here, no high rocky peak. Just a small beach of white sand that emerges from the turquoise waters. As it is remote and less famous than the beach of Maya Bay, there is still some space on its beautiful beaches. But as always in Phi Phi, and especially during the peak season from December to March, First-come, first-served ! 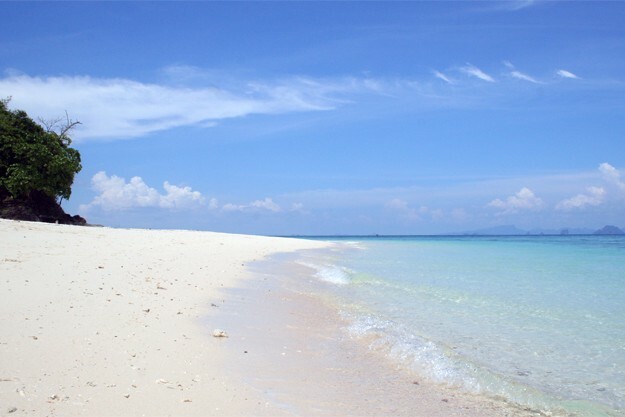 To watch the sunrise at Bamboo Island, alone in the world, camping tents can be rented on the beach. A small bar serves drinks and snacks. 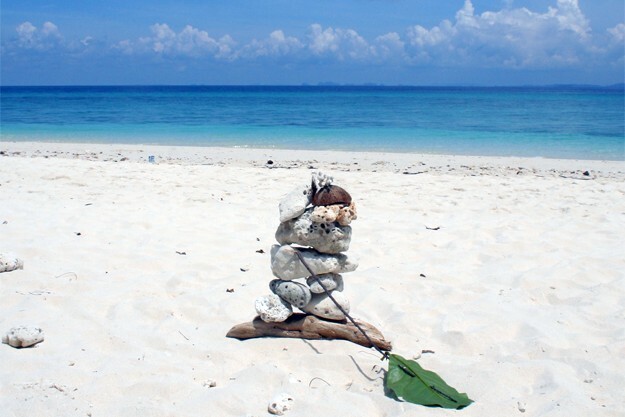 Bamboo Island has a "Evacuation Route" in case of imminent threat of tsumani. Refer to signs planted on the beach.